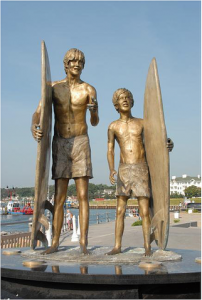 Anticipation was commissioned to honor Josh Thompson, a Virginia Beach local who grew up surfing the Oceanfront's waves. 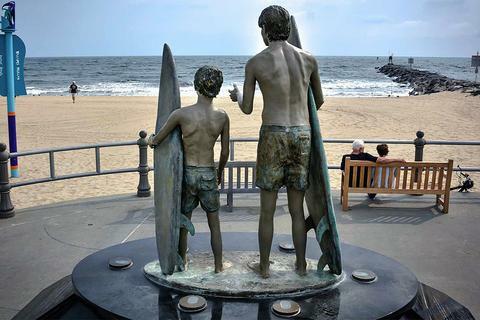 After Josh was diagnosed with ALS, (also known as Lou Gerhig's Disease) his family recognized that reaching the beach was now a challenge for him because of his wheelchair. 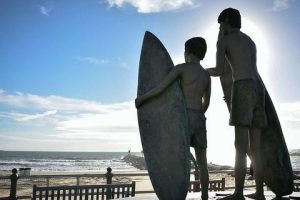 Thus, the inspiration for JT's Grommet Island was born, the first completely wheelchair compatible playground of its kind for children and adults. 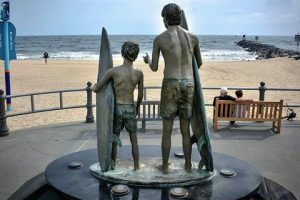 The playground is truly a place for "everyBODY." 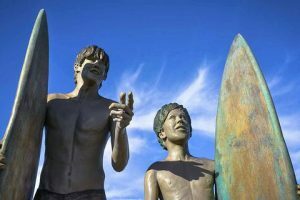 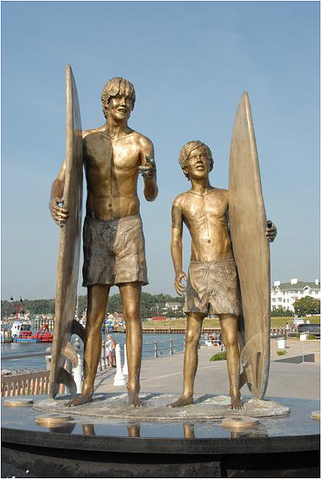 The Anticipation sculpture depicts two young surfers - or "grommets" - who face the waves together, the younger boy listening to the older boy, who is mentoring him about the challenges of life that lay ahead and how to overcome them.